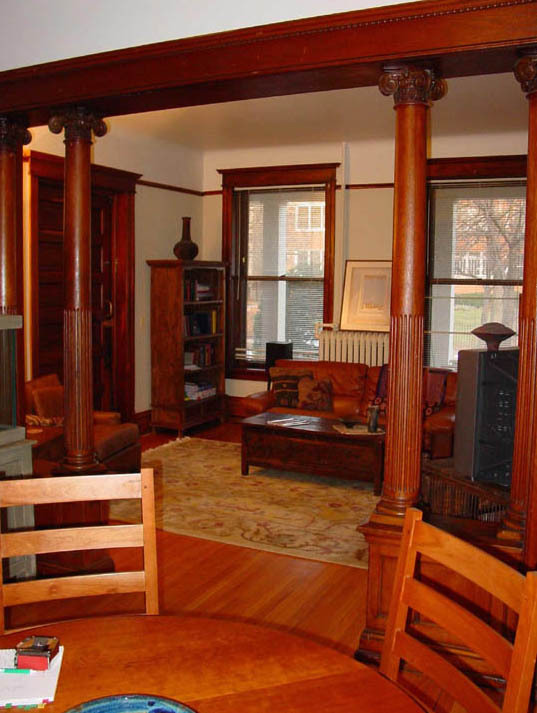 Spacious 3 bedroom, 1 bath apartment in Dover Street two-flat. 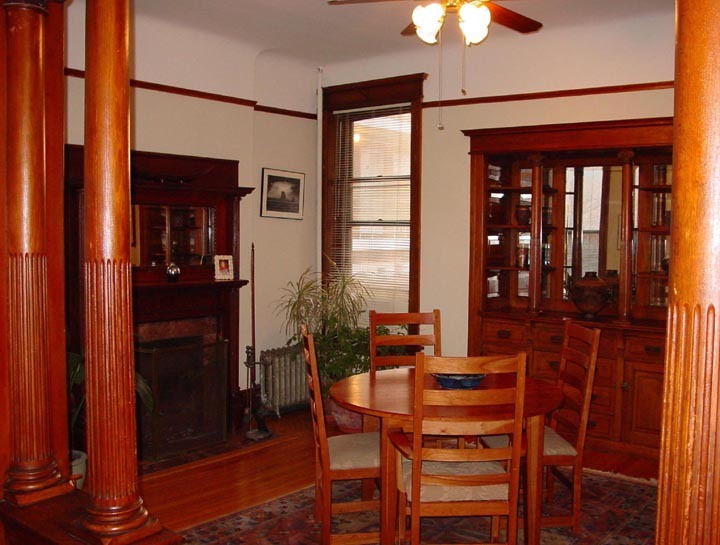 Original woodwork, hardwood floors, ceiling fans and 10� ceilings throughout the apartment. Two wood-burning fireplaces (first floor), one wood-burning and one gas (second floor), built-in sideboard in the separate formal dining room. Kitchen with walk-in pantry has updated appliances including dishwasher. Large back porch off the kitchen. Enclosed garden. Laundry and private storage in basement. Heat and gas included in the rent. 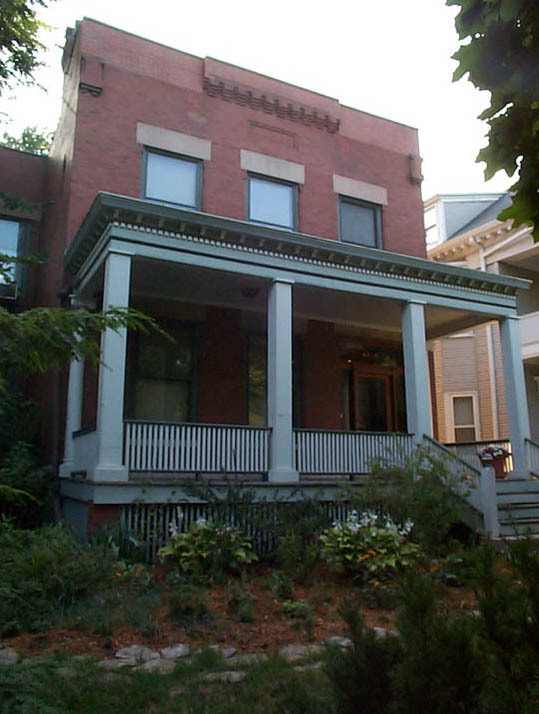 Near Red Line train and express bus to Michigan Ave.
$1650 per month, garage space available. Last revised August 5, 2008.